Welcome to my blog! My name is Rylie. I am an art student. 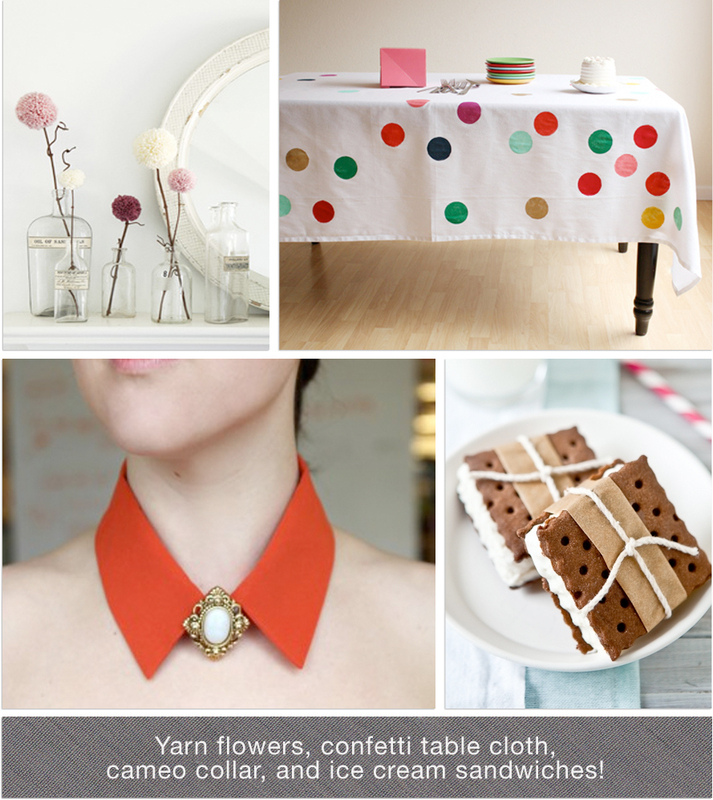 I love fashion, beauty, cooking, thrifting, exploring, and all things so-ugly-they're-cute. And that is precisely what you'll find here. Thanks for visiting! 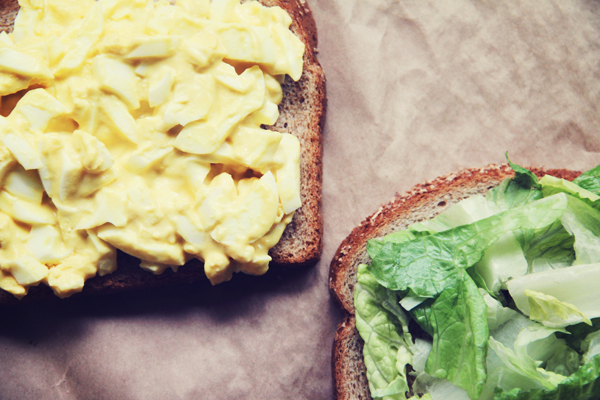 I know, I know, you're thinking, "Egg salad? I'm not five!" 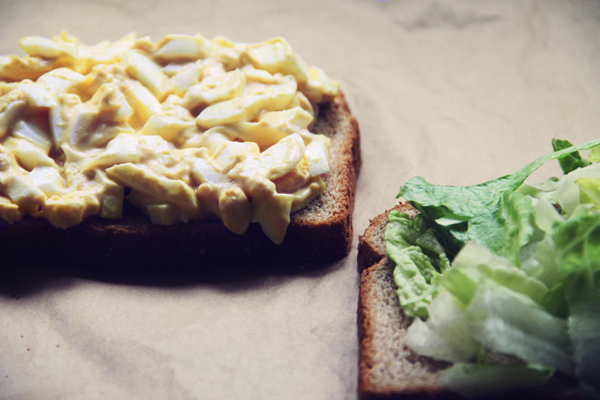 But why can't you eat egg salad as an adult? It's a classic! The cafe at my school has egg salad sandwiches sometimes and everyone goes crazy for them. 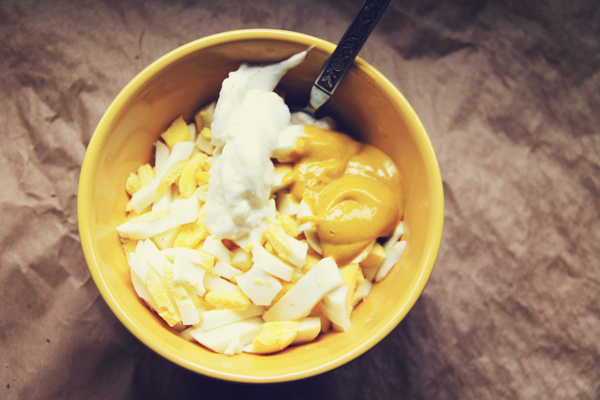 It's fun to eat the food you ate as a kid, and there's definitely nothing wrong with it! 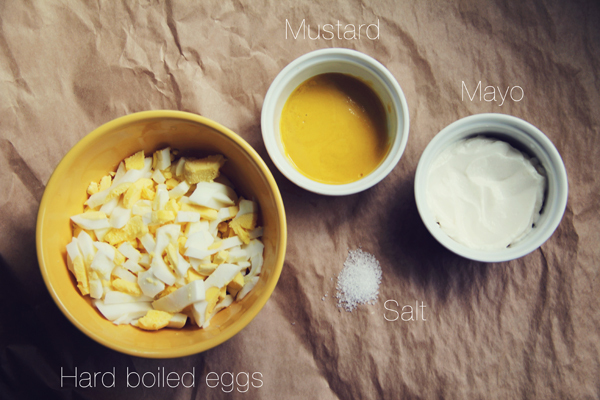 I kept it totally simple and only used veganaise, yellow mustard, salt, and four hard boiled eggs. If you want to get fancy feel free to use dijon mustard, paprika, dill, etc. 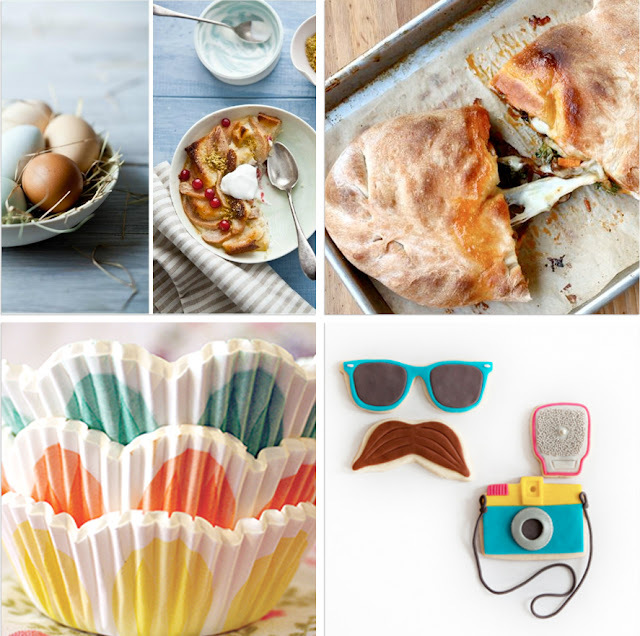 I love this "recipe" because you can just use however much of everything you want depending on your taste preferences. Slop it onto some healthy bread with a little romaine and enjoy! I ate the leftovers on a toasted rosemary garlic baguette, YUM! Can you tell that I've been super hungry lately? Since Monday is a day off for a lot of people, I thought I'd share some easy DIYs you can do in a day. The top row shows a few adorable illustrations by a young Italian illustrator named Laura Di Francesco. 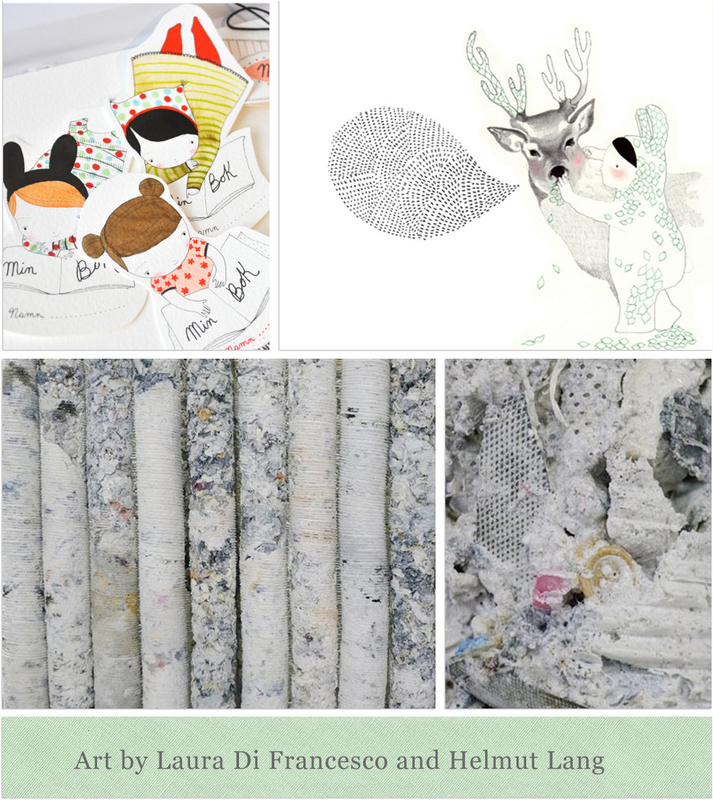 She has an etsy shop called PesceRosso where she sells prints of her work for children. The bottom row shows a peek at Helmut Lang's installations. After retiring from fashion design in 2005, he has since moved on to creating "fashion sculptures" by shredding his archives and using the destroyed clothing as an art material. Very cool. Check out his website. Originally, I had planned to make K a heart shaped breakfast sandwich on Valentine's Day, but due to his work schedule, I can't :( and he has planned a surprise evening, so I'm forced to make cute little heart shaped desserts. I am definitely going to print out the coffee cup wrappers and bring a cup when I pick him up from work :) Such a cute idea! 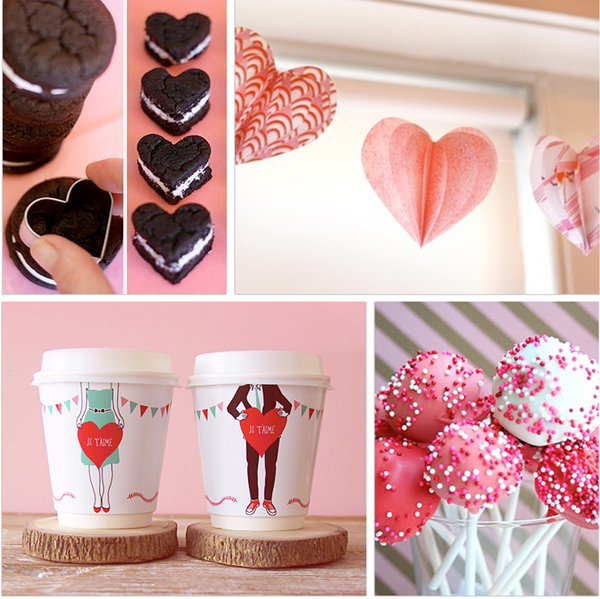 I also can't wait to make the heart shaped Oreo Cakesters, so yum! 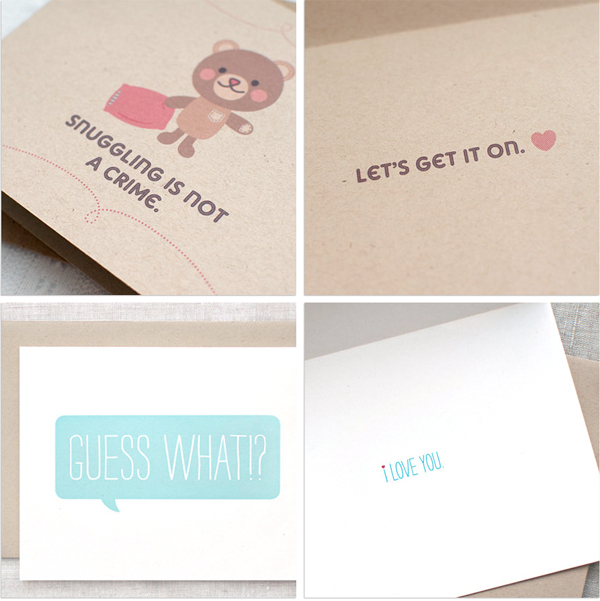 And of course, who doesn't love a cute little handmade card? What are you planning for the day of love?